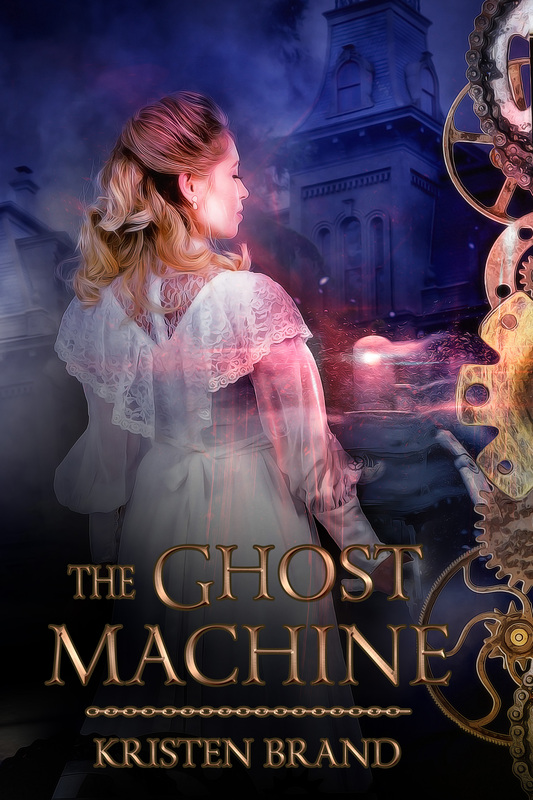 The Ghost Machine was originally an epistolary novel told entirely through diary entries and letters like Dracula or The Woman in White. When early beta feedback pointed out that format killed the tension, I changed it to a regular novel with letters and journal entries spaced throughout. I also made a common writing mistake of starting the book too early. All this buildup and introduction to the asylum is unnecessary, and in the published version I skip it all and start the moment Ella is locked in her room. Too many minor characters is another problem I fixed. Ella’s father, aunt, uncle, and dead mother were combined into two living parents. I also changed a lot of character names between this and the final version, which I tend to do when writing. So if you’re a fan of The Ghost Machine, enjoy this behind-the-scenes look. If you haven’t read it yet, for the love of God, read the actual first chapter and not this mess. We left the house at six o’clock sharp in our private coach. Public transportation was unattainable, as no train ventured so far up the high, distant mountains in which our destination was tucked away. And even if one had, I doubt the passengers would want to share a train car with a dangerous lunatic such as myself. Aunt Hettie insisted I dress for the occasion, though I didn’t see why. It was the first time I’d worn anything other than a nightgown in nearly a week. I know my opinion isn’t popular, but I hate dresses. Corsets, bustle pads, petticoats—it’s all very tedious, though Aunt Hettie would scold me if she heard me say so. I considered using my present condition as an excuse not to bother with it, but my illness is serious enough without embellishment. If I were to complain, it would only cause my family more worry, and perhaps they would take even more drastic measures, though I can’t possibly imagine what that would be. It was just as well that I kept quiet, as dressing had the peculiar effect of making me feel more like my old self than I had in days. Indeed, once I was presentable I felt a surge of regret. I would no longer have any need for fashionable dresses and fancy hairstyles. How strange that things are never appreciated until they’re gone. The coach was plain and black, a far cry from the golden one that had taken us to my coming-out party just days before, with its mechanical horses white as porcelain and wheels delicate-looking as glass. This time my family didn’t want to draw attention to their debutante daughter, so the coach was much more practical, although it still ran by steam engine rather than horsepower. Uncle Orville had brought along blankets for me to bundle myself in, and I was quite physically comfortable as we started off. If only the atmosphere of the carriage could have been so at ease. The seating of the coach was thus: I rested in the back left corner so that I could look out the window and see ahead; my father was beside me, Aunt Hettie across, and Uncle Orville diagonal. None of us spoke. We had said all that could be said on the subject of today’s grave errand, and to make frivolous conversation seemed somehow inappropriate, so we were silent. I took the opportunity to observe the passing scenery. I really do love living in the Iron Empire. Aunt Hettie in particular didn’t want to move here (though she had to in order to oversee my emergence into society), but I think it’s beautiful. White snows rested on the pointed roofs of the wooden houses in the city, and every tree and bush was coated with the stuff. It all looked very picturesque, due in no small part to the charming cobblestone streets and the ornate lamps that lined them. The streets here are always clear of snow, an unexpected mark of civilization in so far remote a region. I must remember to ask Father how it’s done—whether by man or machine. The farther we went from the city, the wilder everything became. What served as farmland during spring and summer were now merely fields of white. We passed cottages that were buried in snow; the smoke from their chimneys rising wisplike into the sky was all that discerned them from hills. The forests held grey skeletons of trees coated in ice and evergreens with limbs buckling under the weight of snow. I am told that snowfall ceases in most parts of the country in mid-March, but the thick blanket all around us showed no sign of diminishing, and the grim, grey sky above seemed to hoard an endless supply of the stuff. We stopped but once for lunch at an inn, where we dined on a dish with a name I could not pronounce but which consisted of stuffed cabbage rolls, sauerkraut, and a sort of cornmeal mush. It was delicious, but the mood of the meal was rather spoilt by Aunt Hettie and Uncle Orville’s constant furtive glances in my direction. They must have been concerned that I would make a spectacle of myself in public, but they needn’t have feared. I have detected a pattern to my illness, and the apparitions only appeared before my eyes at night. Since it was high noon, I was as sane as any other girl. Soon we were back in the coach, and I must have dined too heavily, because I dozed for the remainder of the journey. At one point I remember waking to worried voices and the sight of a sharp drop outside my window. It occurred to me that these twisty mountain roads were not as well attended as those in the city, and between the ice and our high altitude we were in a perilous position indeed. But in my dreamlike state I could not bring myself to be afraid, so I soon drifted back to sleep. When next I awoke, it was to the sound of my name. I started and looked out the window, but all I could see were trees. They were coated in ice so that they shined in the sunlight, and would have been very pretty if I had been in a mood to appreciate such things. When I turned from the window, it was to see the faces of all my relations turned to me. “You know this is only temporary,” my aunt said. I nodded, for I had been told this repeatedly for the past several days. “And we’ll pay you visits as often as we can,” Uncle Orville added. They looked at me worriedly, and I tried to put on an air of cheerfulness for their sakes but met with little success. I was struck by this sentiment, for wasn’t I exactly the same manner of people as the other patients? It seemed I had become the sort of company my aunt contrived to keep me away from. I wondered if she resented me for it. I could not dwell on the matter, for just then we came into view of our destination. The first thing I saw were the gates: tall, iron, and not a little intimidating. It continued in the form of a fence which I was forced to assume surrounded the entire establishment, an undeniably prison-like feature that gave me a chill. The gates opened automatically at the approach of our carriage—which was welcoming enough, but then, entering a prison is scarcely the most trying task. The institution itself loomed before us. It was a tall, dark, gothic structure. Brick walls, towering spires, and rows upon rows of narrow windows were its primary features, and it imparted neither comfort nor warmth. The courtyard looked as if it would have been pleasant enough in spring, but now snow hid the barren lawn and flower beds from view. There was a stone fountain in the center of the yard shaped in the likeness of an angel, but of course the water was frozen over. Altogether it was…exactly as I had expected. Our coach pulled up in front of the doors, and as my father helped me down I saw a woman descend the front steps towards us. She was a stout personage of perhaps fifty, her face round and motherly, her hair fully gray. She wore a black dress and white apron and bonnet, which could only identify her as a nurse. And so it was by my own will that I entered the Auttenberg Insane Asylum. Introductions followed. The nurse’s name was Mrs. Schuttmann, and she was pleased to meet Professor Winthrop, Mr. and Mrs. Reddington, and Miss Winthrop. “My sincerest wish is that you’ll be comfortable during your stay here,” Mrs. Schuttmann informed me. I thanked her for her kindness, and henceforth the conversation was restricted to the sane. Mrs. Schuttmann assured my family of the respectability of the institution and its staff, and the coachman took my trunk to my new room. After that there was no reason to linger. Aunt Hettie blinked furiously and told me to behave myself in an unsteady voice, and Uncle Orville embraced me with fearsome strength. Then it was my father’s turn. I will state this very moment that I do not blame my father for my circumstance, though no doubt there are many who would say the fault lies with him. The incident was an accident, and I could no more harbor ill will towards him than I could despise a child. My poor, dear father. If it weren’t for Aunt Hettie and Uncle Orville’s presence, I should worry about him constantly. He kissed me on the cheek, his whiskers scratching my skin, and then he, Aunt Hettie, and Uncle Orville departed. I stood with Mrs. Schuttmann just outside the door and watched their black coach make its way through the snow. The gates opened to speed them on, and soon they were past the forest and beyond sight. “Let me show you to your room, dear,” Mrs. Schuttmann said. I followed her mutely through hallways dark and austere. Doors were equidistantly spaced along the walls, and Mrs. Schuttmann stopped at one that seemed to my untrained eye indistinguishable from the numerous others. Then she produced a ring of keys from her pocket, opened the door, and showed me in. The room was small and furnished sparingly. A bed, washing basin, and nightstand were its only provisions. The window had light yellow curtains, an attempt at cheeriness that was rather spoiled by the iron bars outside the glass. Metal pipes ran across the ceiling, and the walls were white and bare. My trunk had already been brought in, and rested forlornly in the corner as if shrinking away from its unfamiliar surroundings. She shut the door behind her, and I heard a loud clink as she fastened the lock. For several moments, I let my gaze drift about the room and attempted to muster a feeling of sanctuary and comfort. However, my first moment of solitude only impressed upon me the harsh reality of my new prison and my natural aversion to it. With no audience requiring me to put on a cheerful front, I fell upon the bed and wept. Crying is such a peculiar affair. I have no doubt that I made for a feeble, pitiful sight as I emptied my tears upon the pillow, but the act refreshed my spirits. It served as a sort of catharsis, and I emerged from it determined to make the best of my situation. I wiped my eyes and opened my trunk, from which I proceeded to remove my diary and record the events you see here. I have never had much fondness for diaries. When I was a younger girl, Aunt Hettie gave me one as a gift, and, deeming diary writing to be a sufficiently lady-like pursuit, insisted that I write an entry everyday. For several days I obeyed her dutifully, recording every detail of my day, from the content of my school lessons to the details of my supper. I cannot fully express, dear reader, how intolerably dull my life seemed with the evidence set down upon paper. It was a waste to fill the pages with such uninteresting and inconsequential accounts. Yet I was obligated to continue by order of my aunt. Therefore I scarcely think I can be blamed when I started to exaggerate my accounts of the day. My diary changed from a memoir to a work of fiction. Simple carriage rides through the park were turned into thrilling tales of highway robbery. Dinner parties with neighbors were traded for feasts at fairy courts. In my diary, I was an adventurer. I battled monsters, rescued princes, discovered hidden civilizations. My imaginary life became my sanctuary, and I was never happier than when I was scribbling a new escapade in that little book. Needless to say, when Aunt Hettie found out what I was doing, she was quite irate. Since then I have not bothered with diaries. Why, then, do I begin a new one now? Surely a pastime that was so loathsome to me as a child cannot bring me joy having barely reached adulthood. Indeed it does not, for my decision to start a diary does not stem from a need for amusement. It comes from a desire to record my thoughts, so that I may study them in the future and…perhaps determine if they are truly the thoughts of a madwoman.